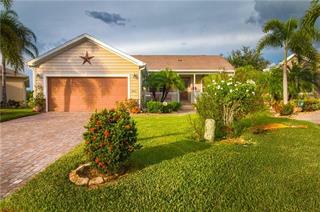 Ask a question about 542 Port Bendres Dr, or schedule a tour. 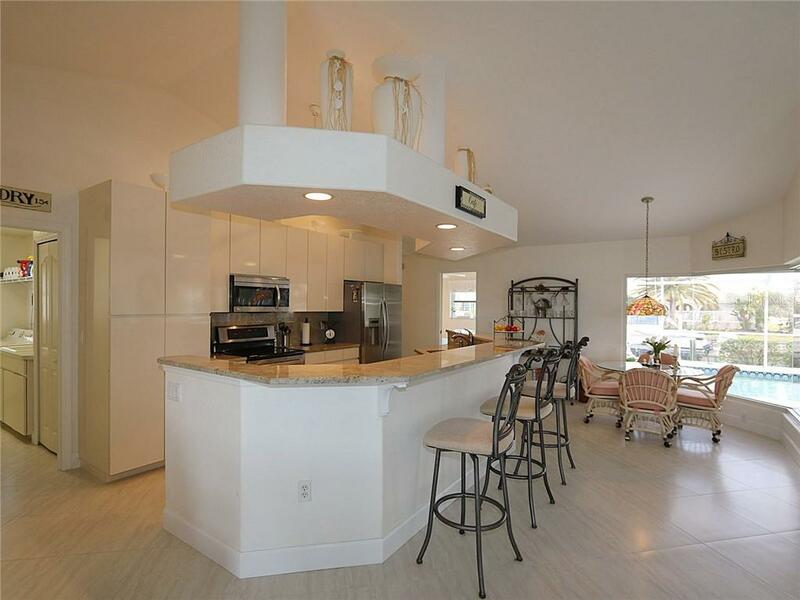 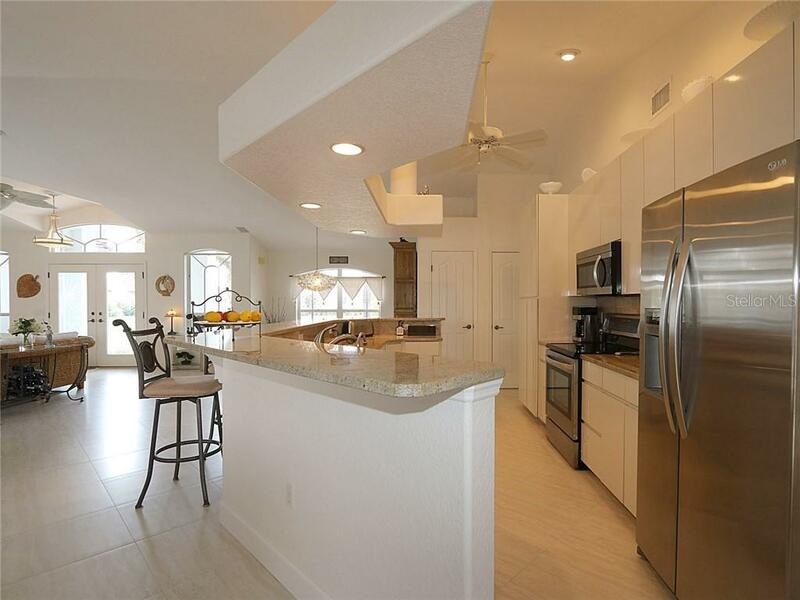 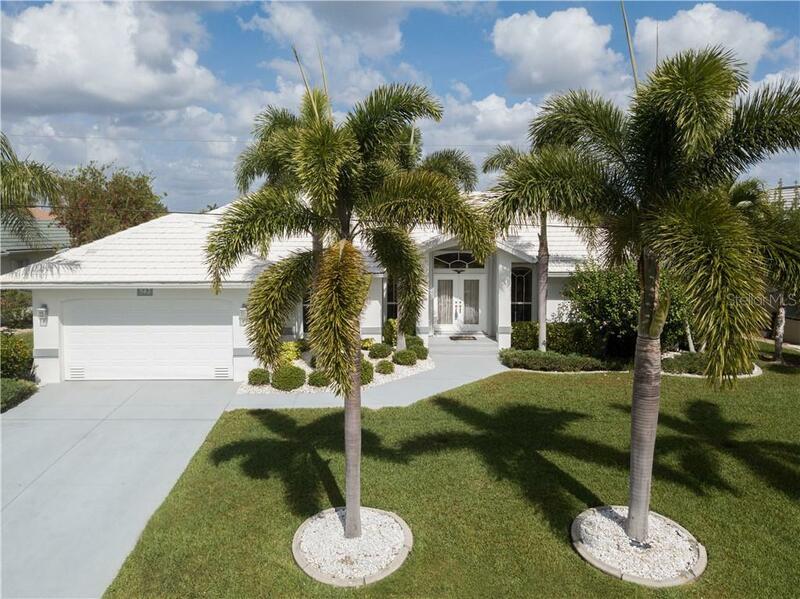 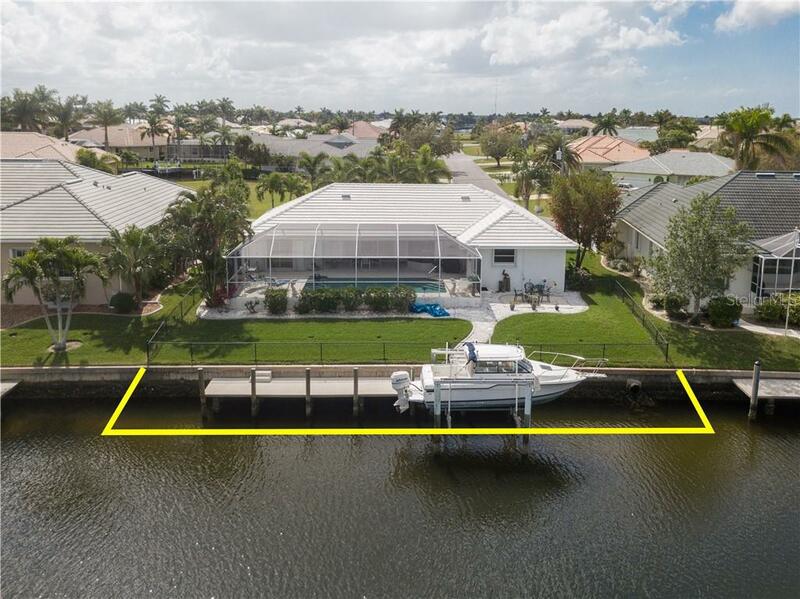 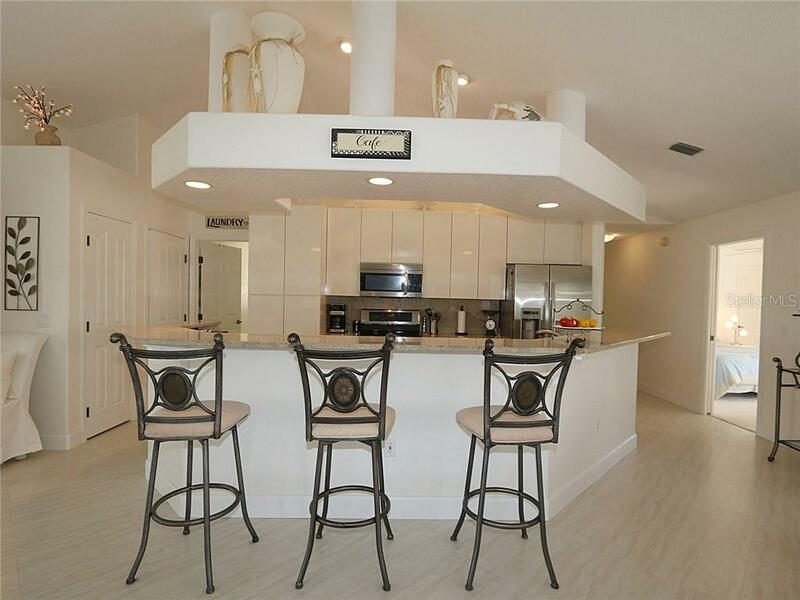 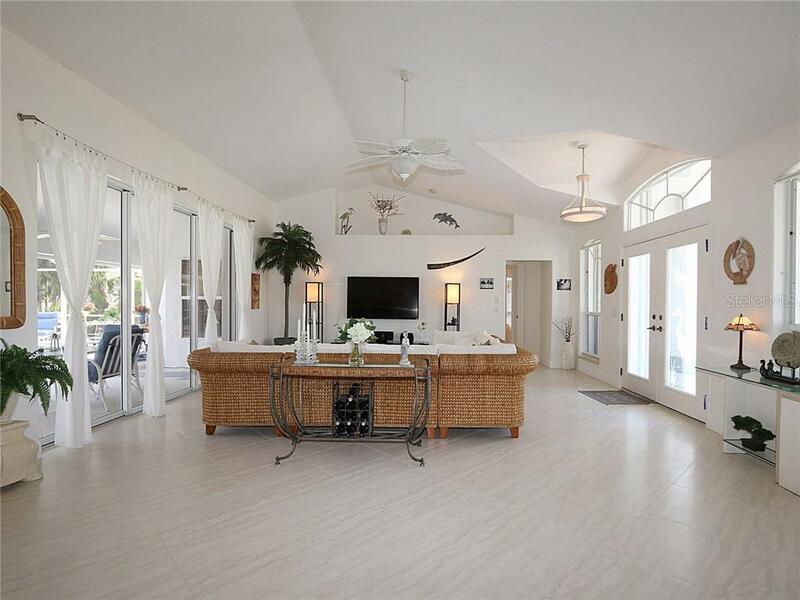 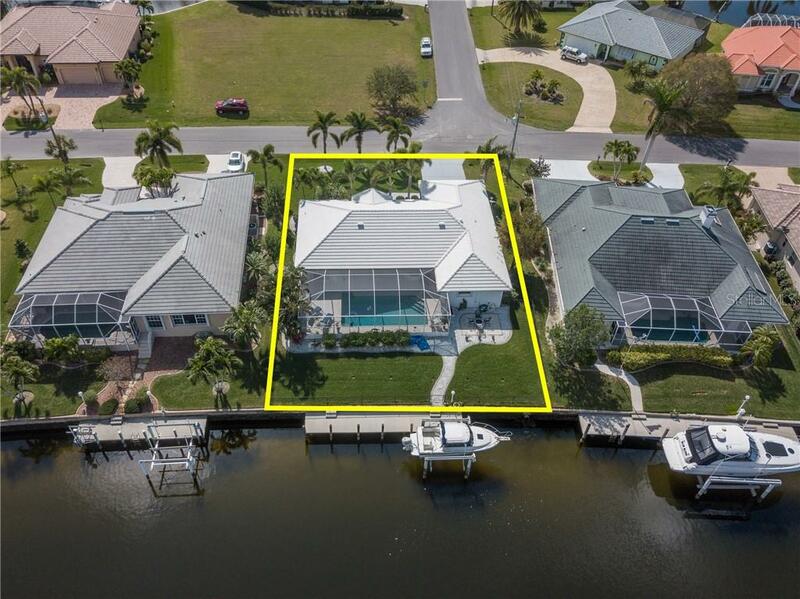 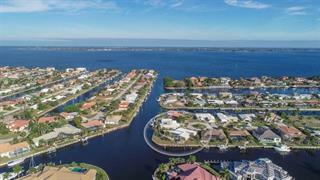 Meticulously-maintained, 3 bed/2 bath, waterfront home in Burnt Store Isles w/sailboat access to Charlotte Harbor. 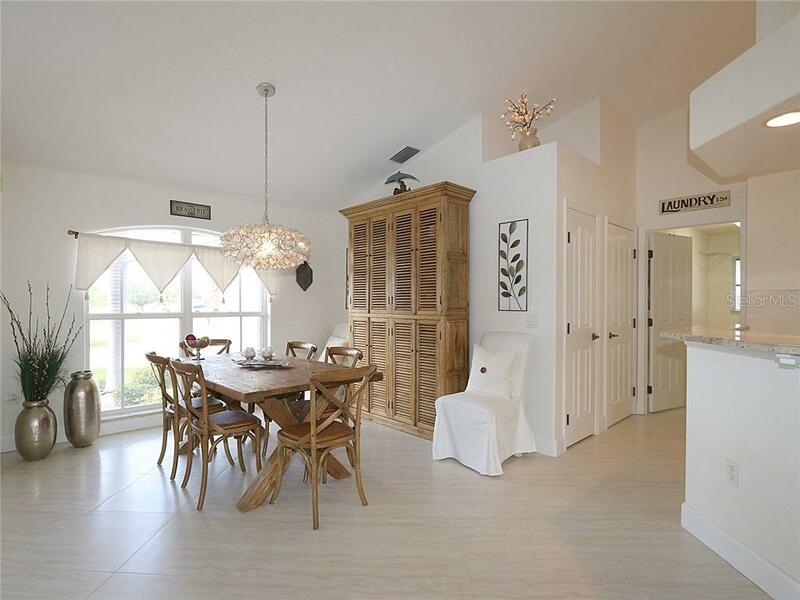 Step into the light & bright great room that features cathedral ceilings, an updated kitchen & disappearing sliding glas... more.s doors that open extending the living space outside onto the lanai. 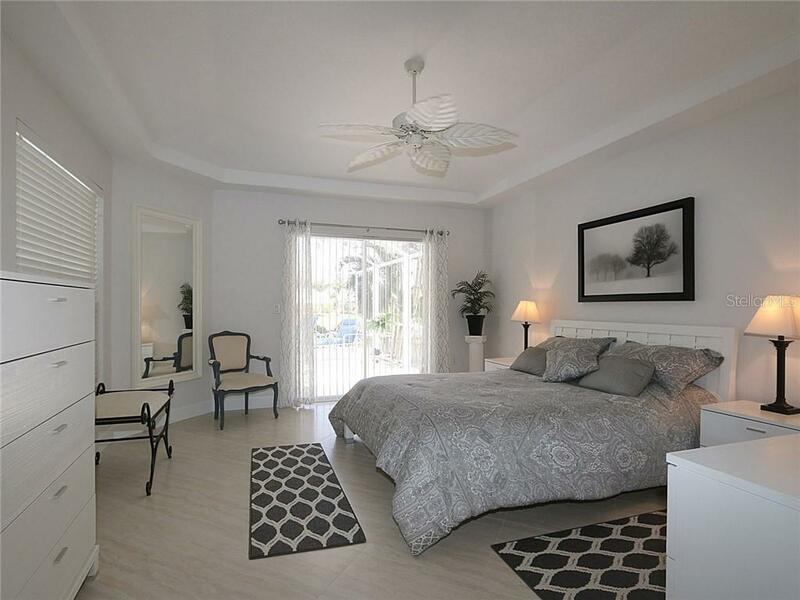 Home has a contemporary feel throughout w/new, porcelain tile flooring in the main living areas & extending into the master suite. 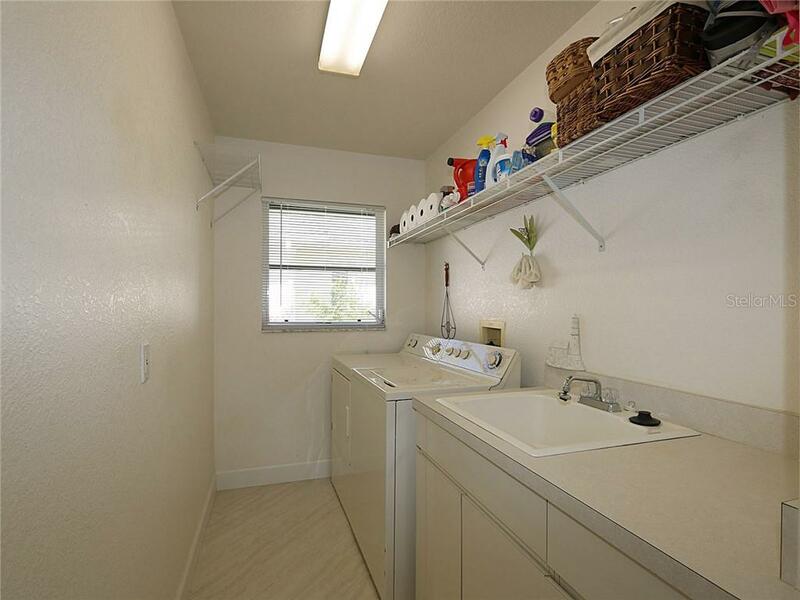 The kitchen boasts granite counters, a breakfast bar, closet pantry & stainless steel appliances. 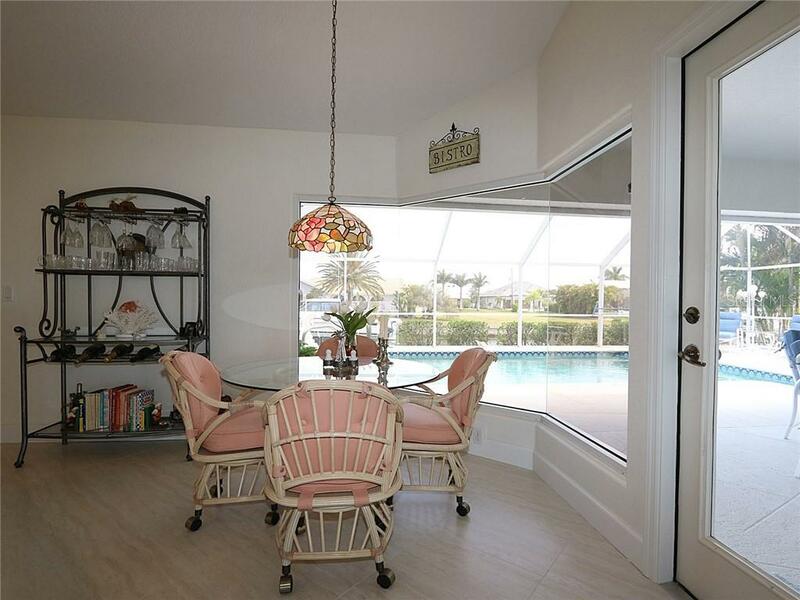 The dining area is perfect for formal entertaining & the breakfast nook features a mitered glass window overlooking the pool & canal view - imagine enjoying your morning coffee while watching the sunrise over the canal. 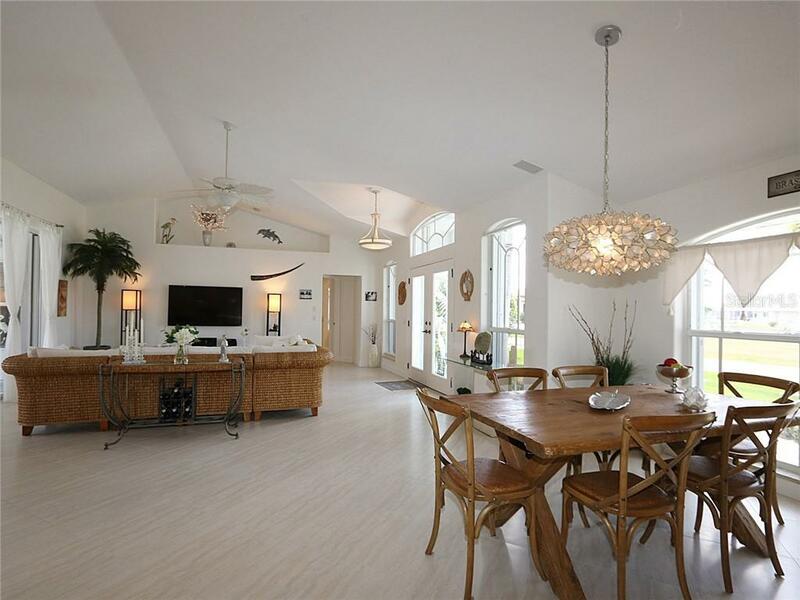 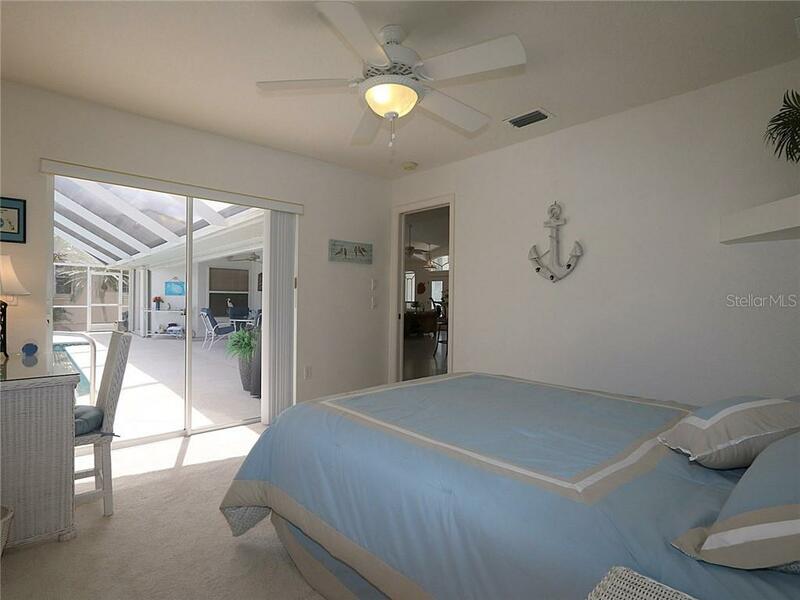 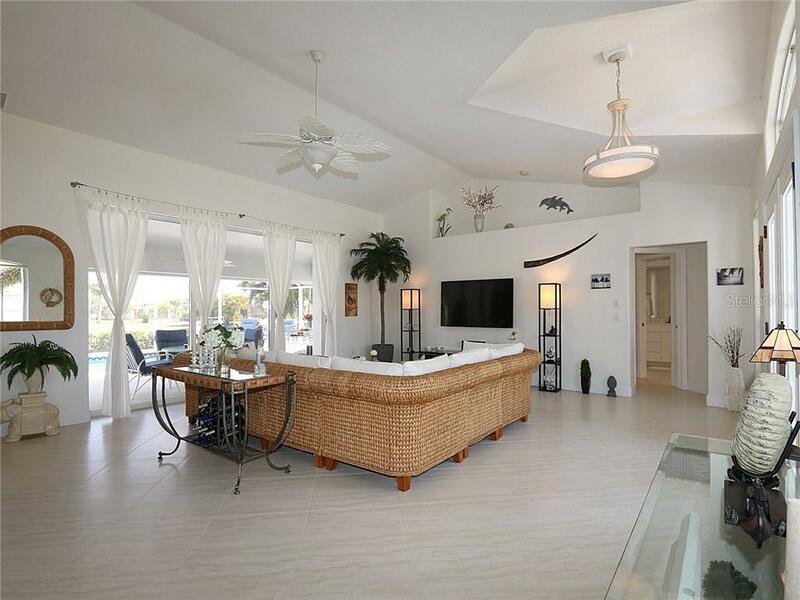 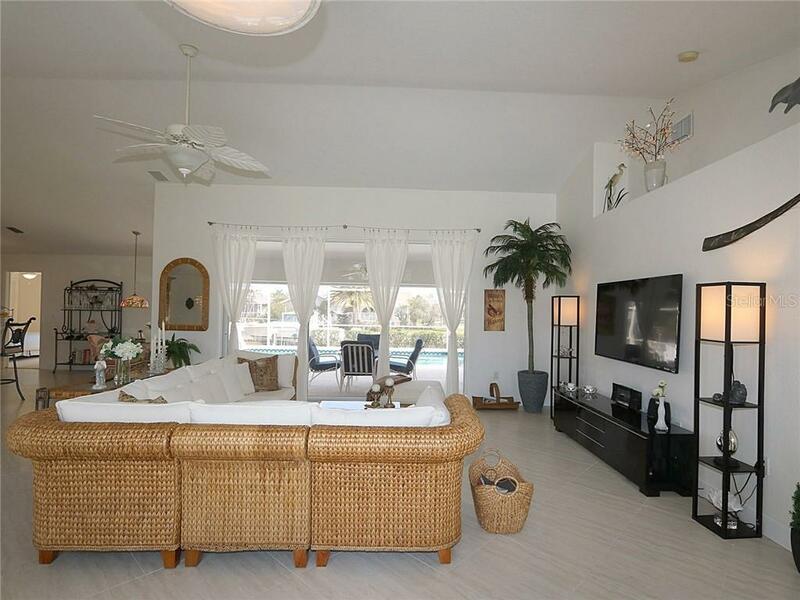 The master suite offers walk-out access to the lanai, his & her closets & a large master bath. 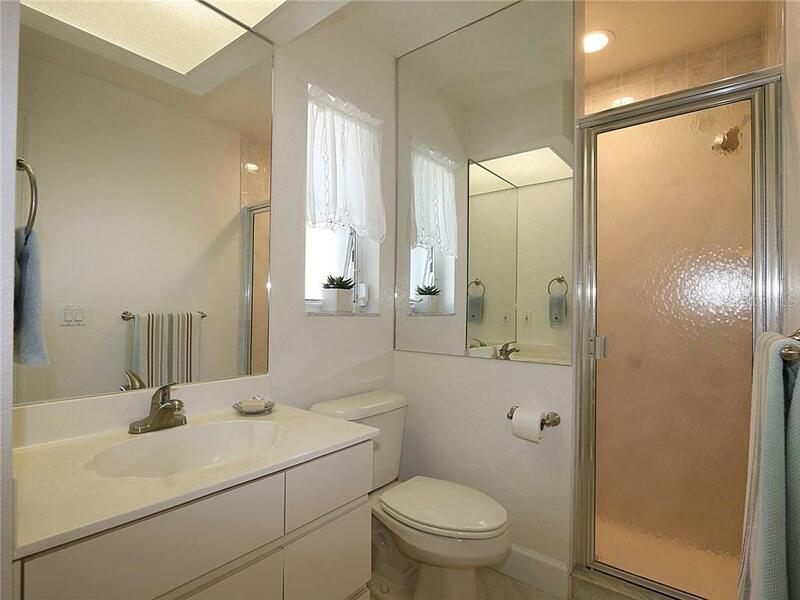 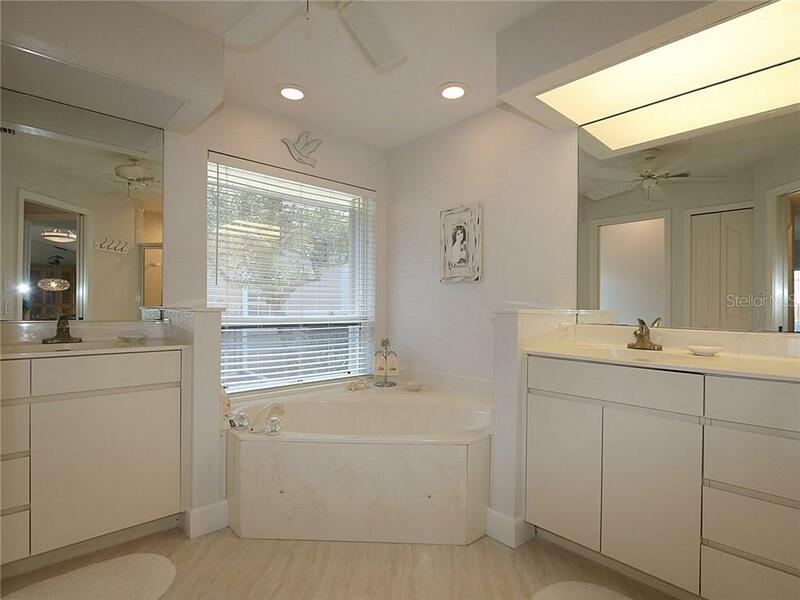 The master bath has dual sinks, a corner tub & separate walk-in shower. 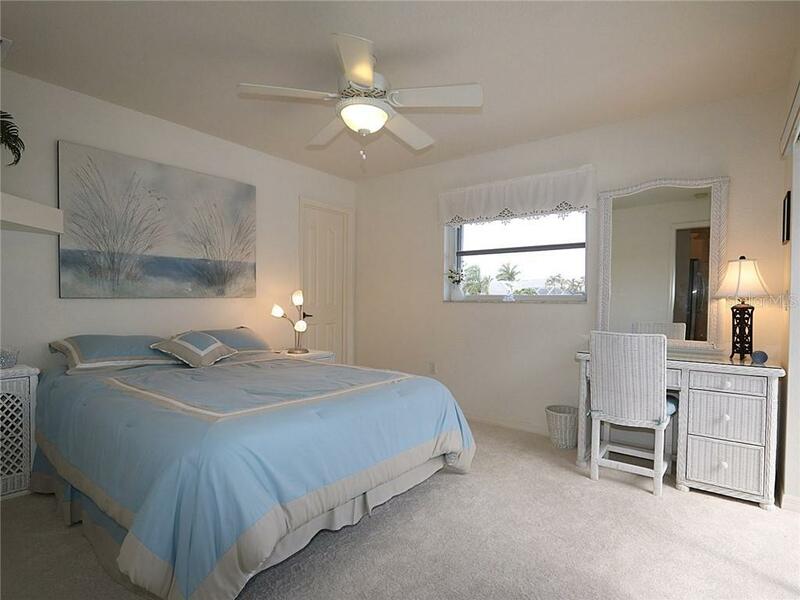 The split bedroom floor plan has large guest rooms. 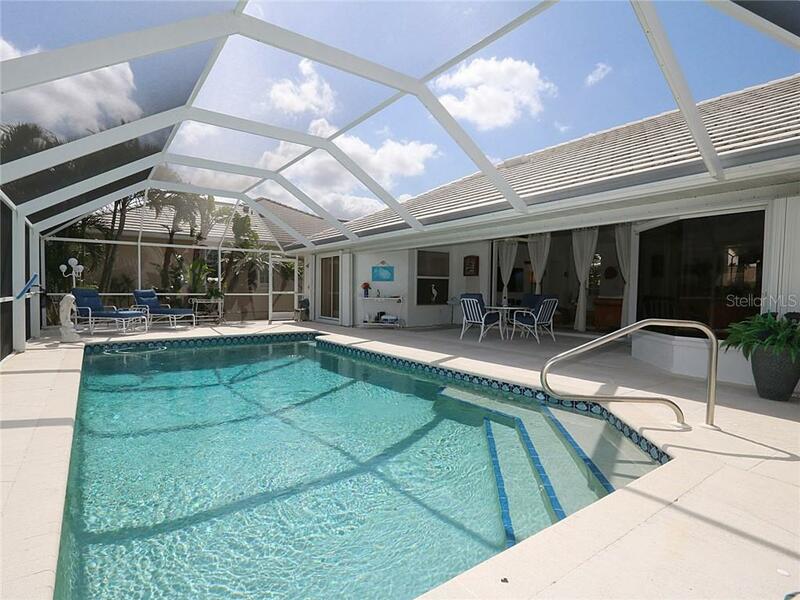 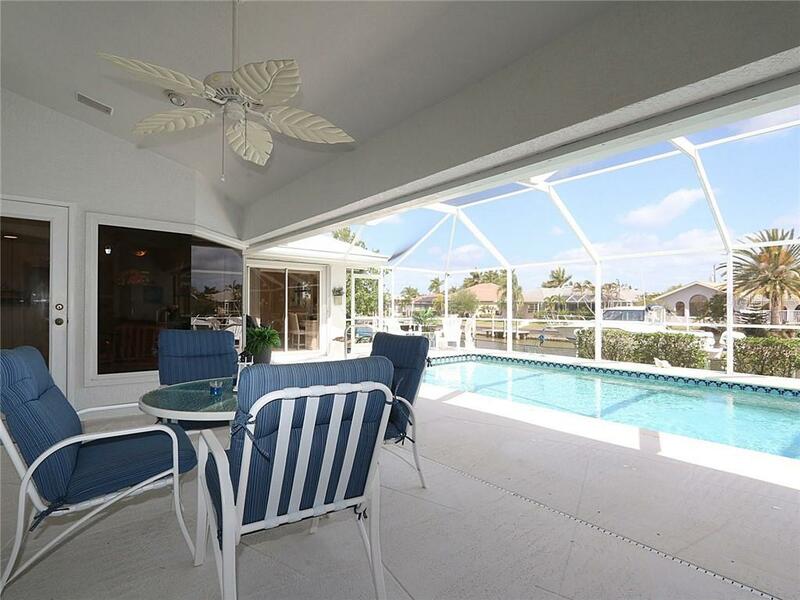 Outside, the lanai has an in-ground, heated pool. 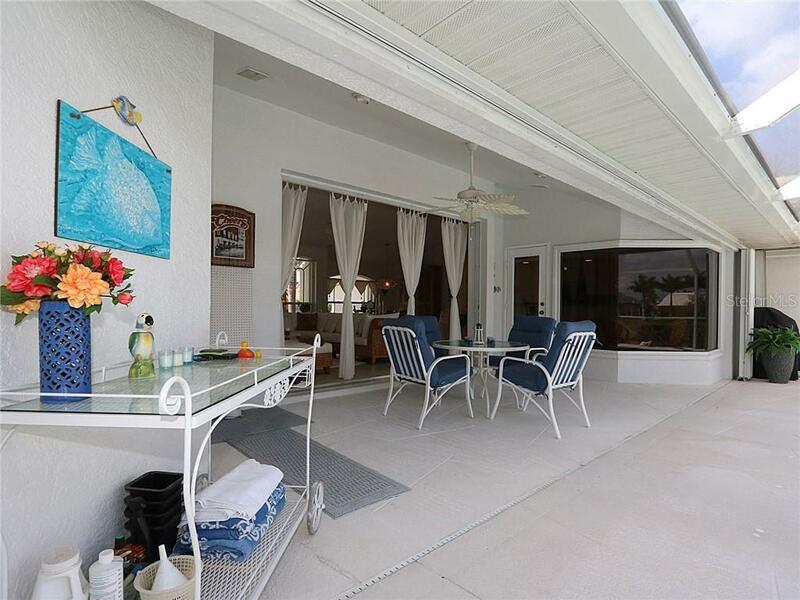 An open air patio is just beyond the pool cage - perfect spot to set up the grill. 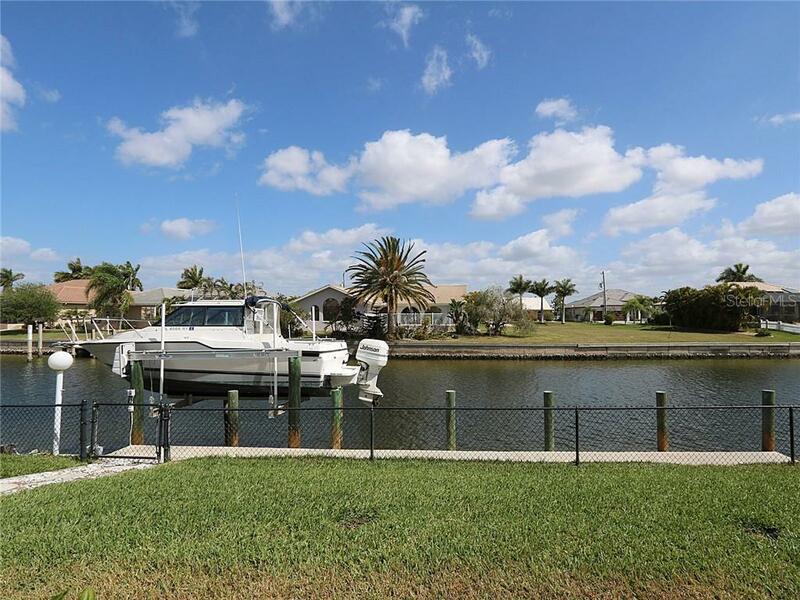 An extended, 45-ft, concrete dock w/10,000 lb boat lift is steps away. 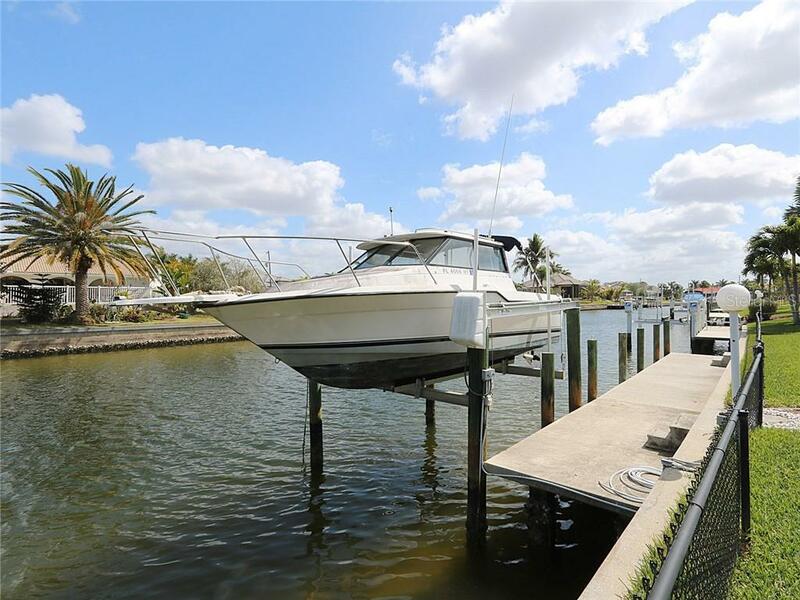 Water & electric hook-ups are available dockside. 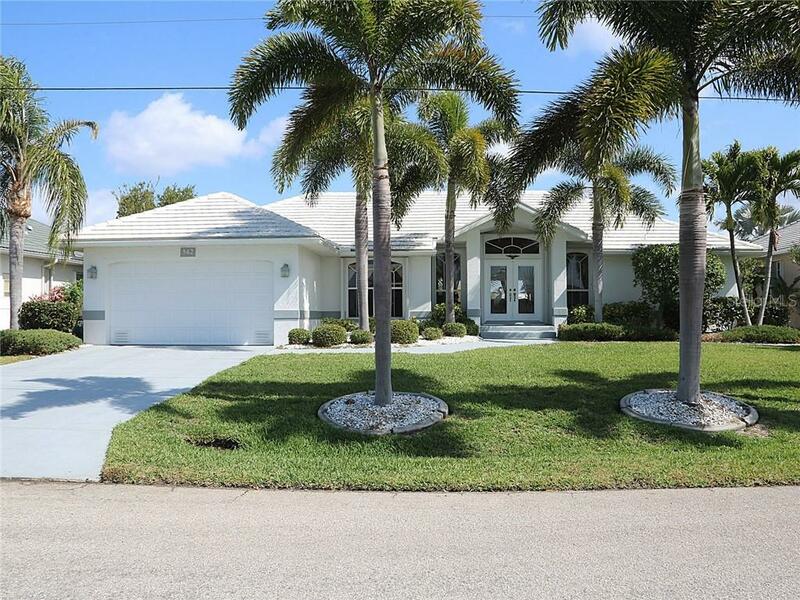 Other features include a fenced backyard, whole-house hurricane protection & an attached 2-car garage. 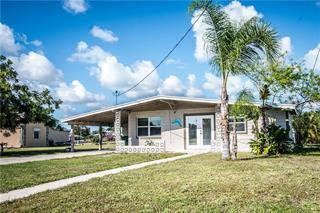 Recent updates include new A/C (2016) & new water heater (2017). 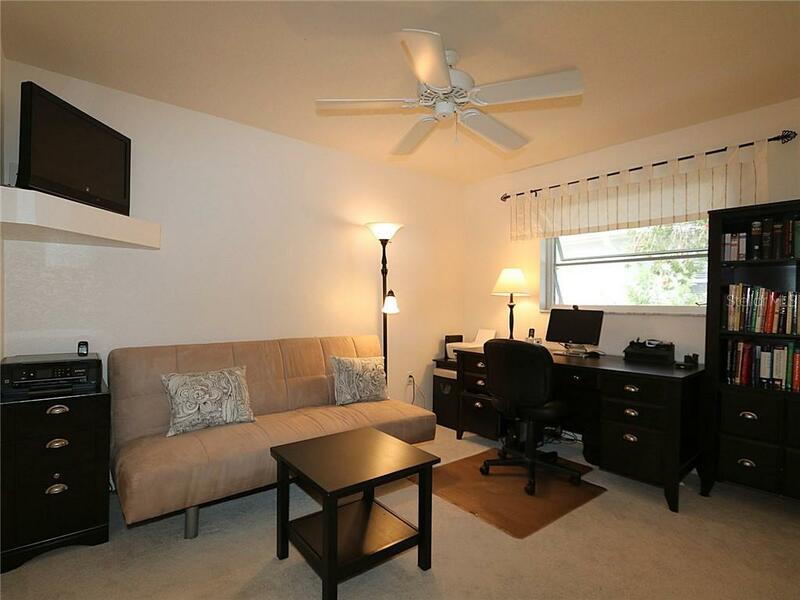 Furniture is negotiable. 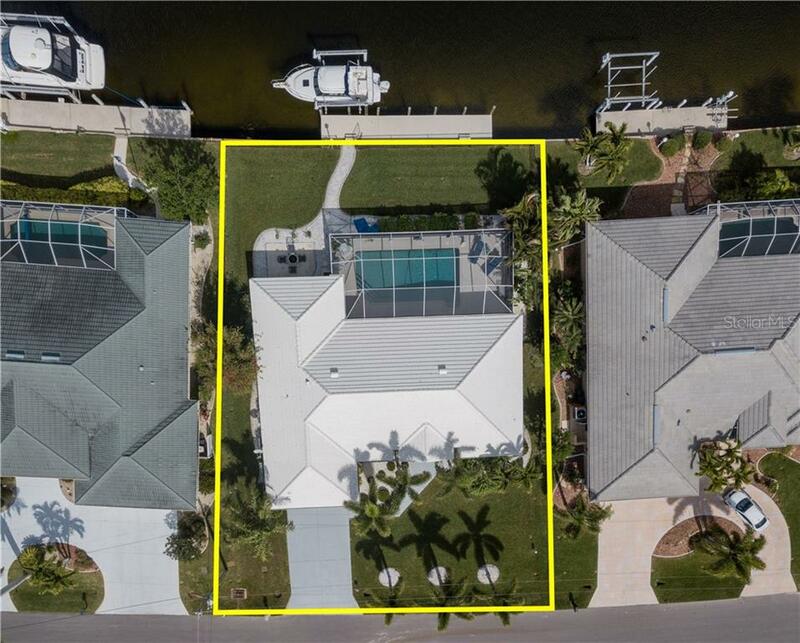 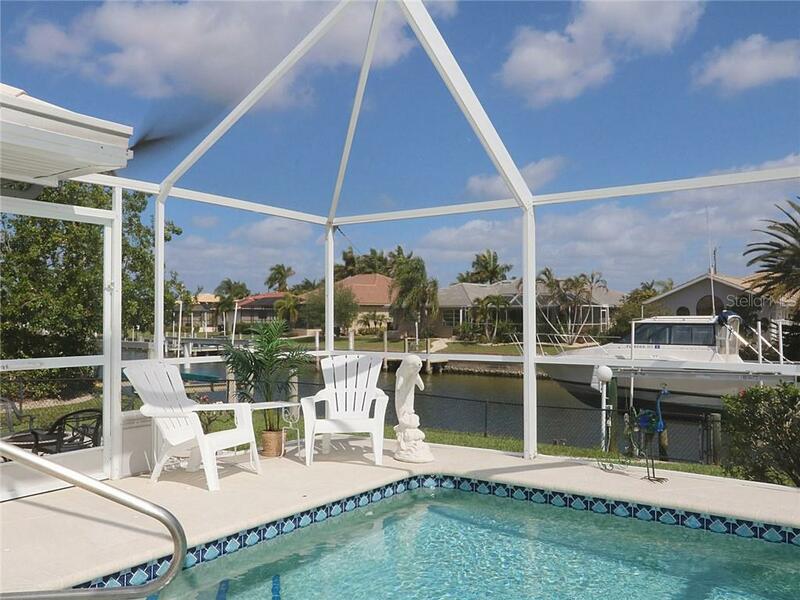 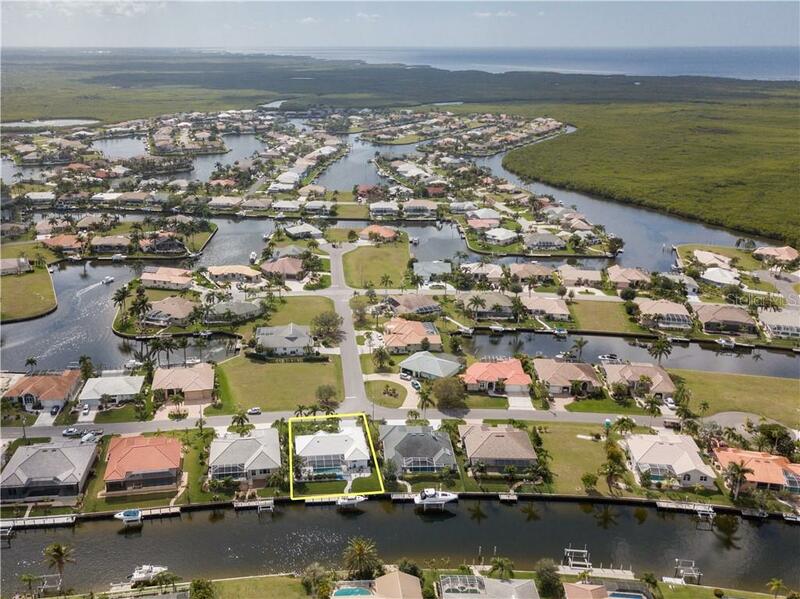 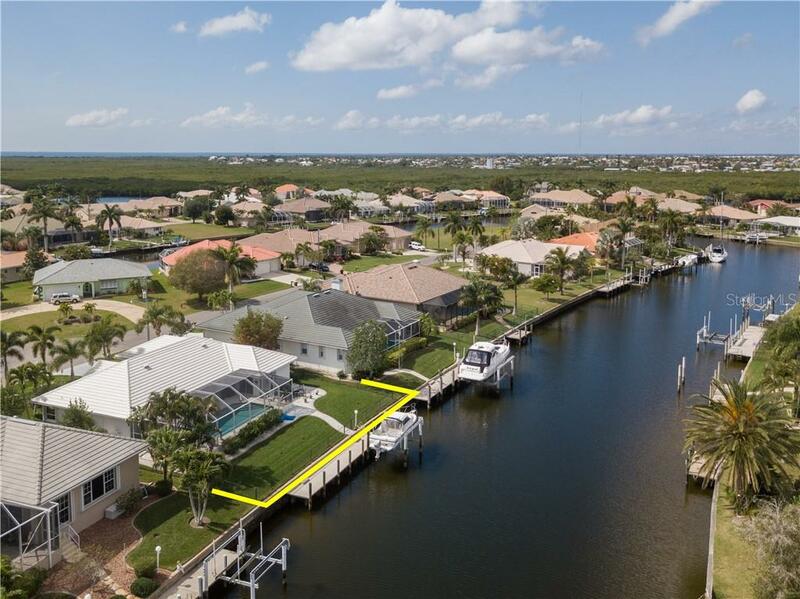 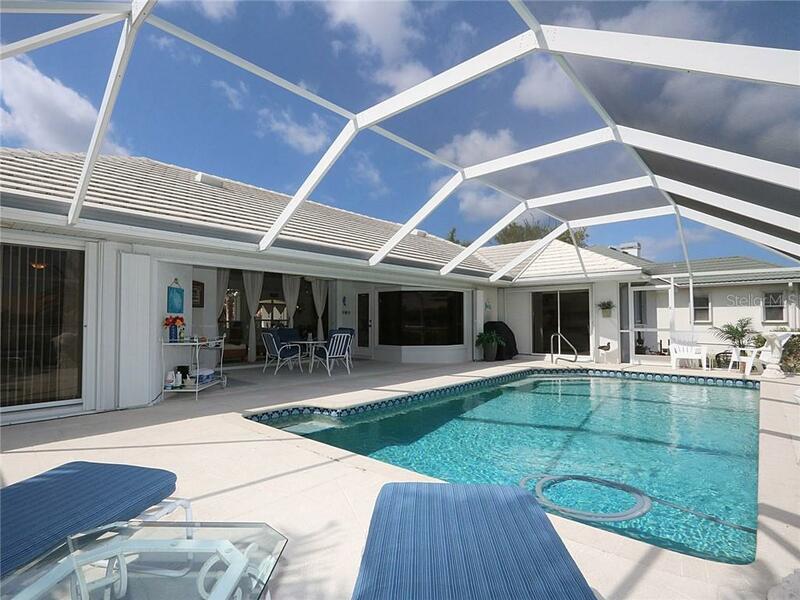 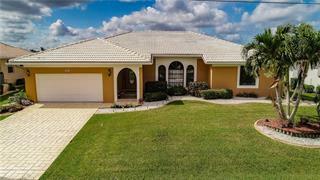 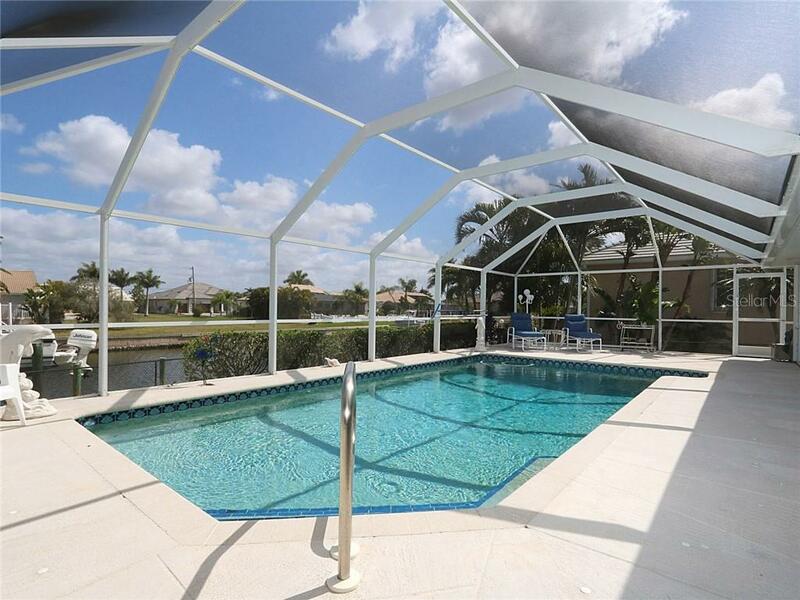 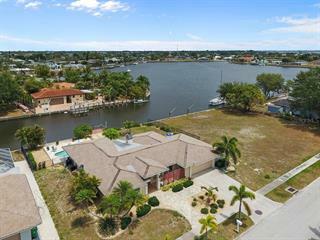 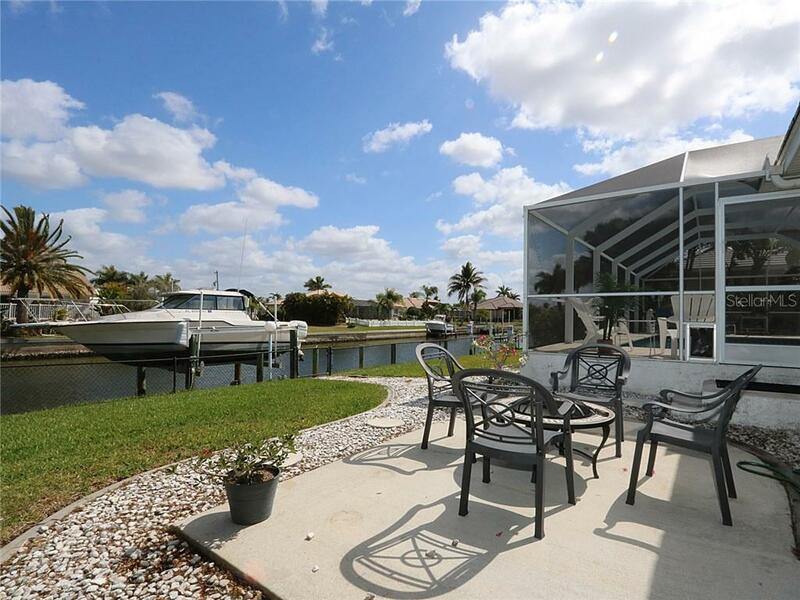 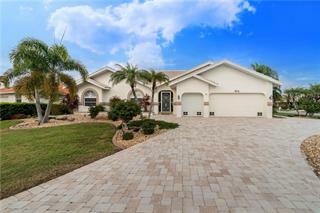 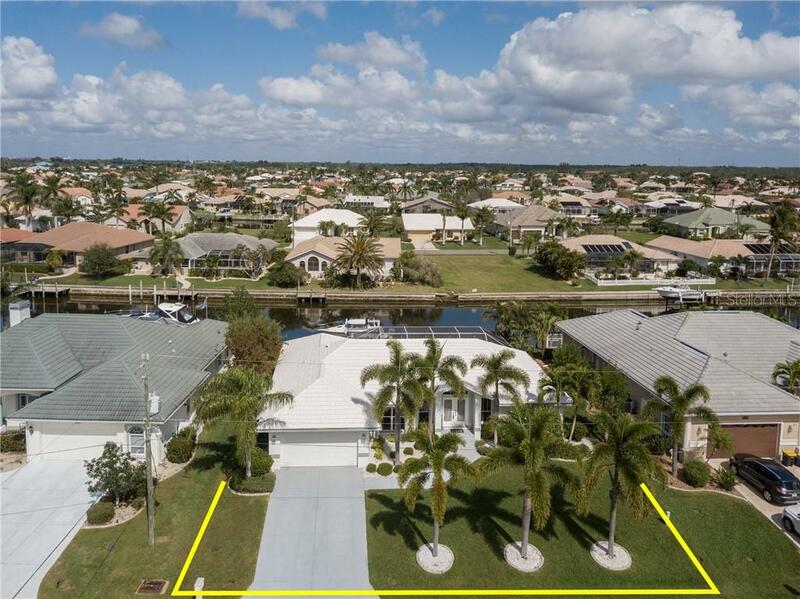 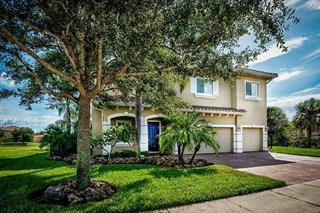 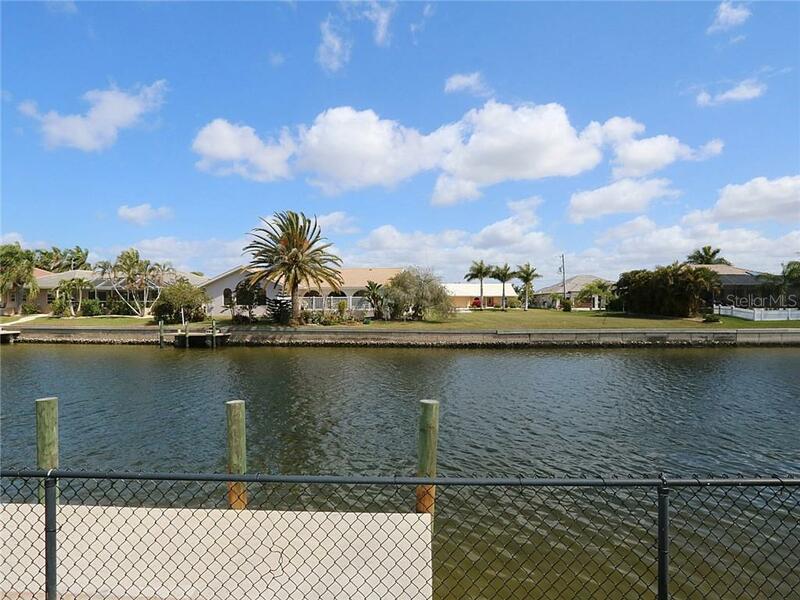 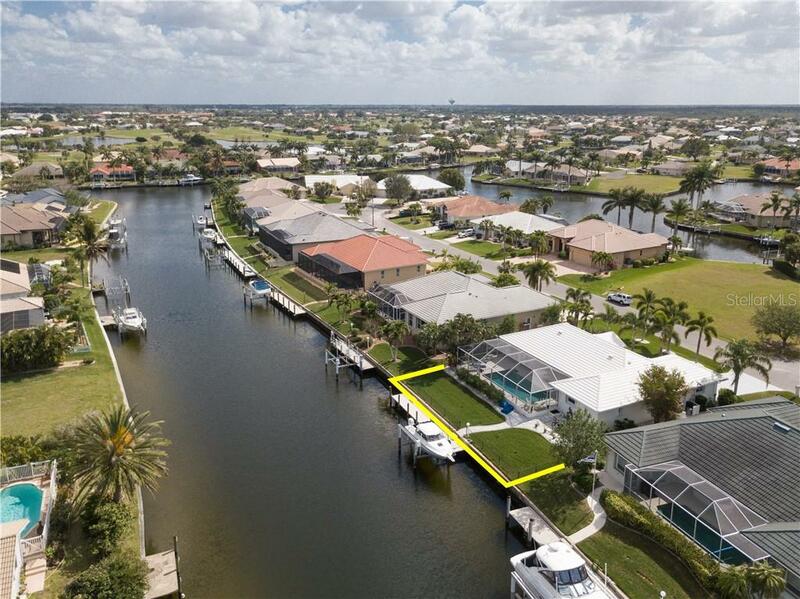 Start living the Florida dream today - your boat docked in your backyard & golf right around the corner.